Despite overwhelming scientific evidence of manmade climate change, the topic somehow continues to be up for political debate. But even amongst those who believe that climate change is a very real problem, there seems to be little drive to adopt any change in regular routines to help conserve and create a greener lifestyle. 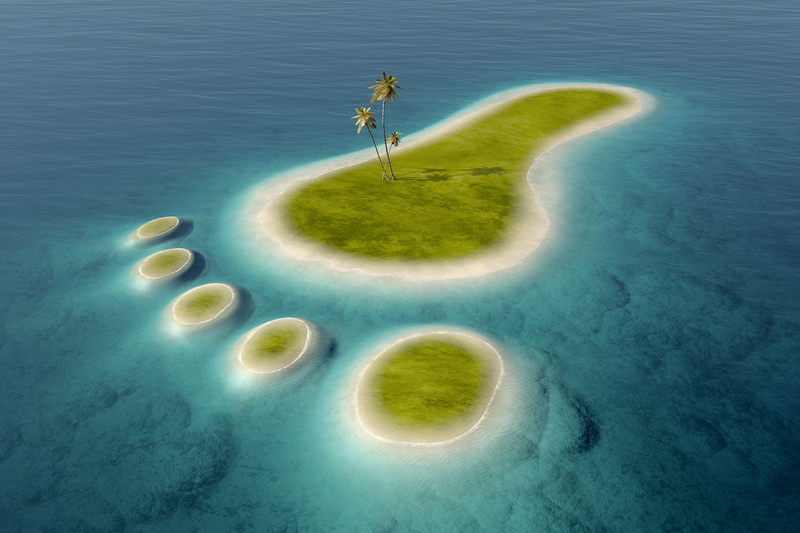 YouGov, a market research firm specializing in online polls, created a survey that specifically looked at individual “footprints on the environment.” A recent YouGov article by Gregory McCarriston outlines the survey taken to determine if Americans who were adamantly in support of measures to reduce climate change were, in fact, making changes in their own lifestyles at home. According to the survey, a lot of us are talking the talk but not actually following through on any ways to alter our lifestyle to help reduce emissions and counter climate change. The survey found that over 50% of Americans agree that both human activity and natural causes contribute to climate change. And even more people (over 60%) felt that working together on a global scale was necessary to help the environment. But in terms of those who are actually taking steps on a micro level within their own homes to reduce their carbon footprint, the results of the survey found that just agreeing that climate change is a problem isn’t necessarily going to be the catalyst to change one’s habits. Simply agreeing or knowing something is a problem isn’t enough to motivate change it would appear. Hopefully, as we finally move past the debate of whether or not climate change is real, studies and surveys like this one can find ways to help individuals make even small changes to their daily routine to help reduce carbon footprints.